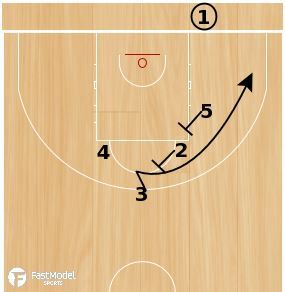 This inbounds play came from the FastModel Sports Basketball Plays and Drills Library. 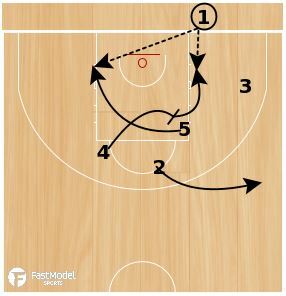 4 steps in to screen for 5. 4 dives to the ball. 1 looks to 4 or 5.